Marcos is UX Designer at Making Sense, who is currently working on one of our biggest projects. He is a great film lover who enjoys spending time with Pampero, his dog. 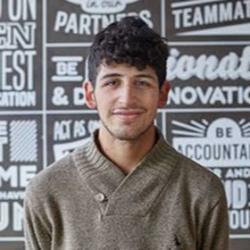 Marcos is constantly learning new things and loves to keep updated with the latest UX topics. Check his digital portfolio at Behance! Is the Ideal User your Only User? Sometimes it's easy to get so involved in developing products for the "ideal user", that you can forget there are other people whose needs must be met, too.